Excellent Science includes the schemes administered by the European Research Council (including Starting, Consolidator and Advanced Grants) and the Marie Sklodowska-Curie Actions (including Individual Fellowships). 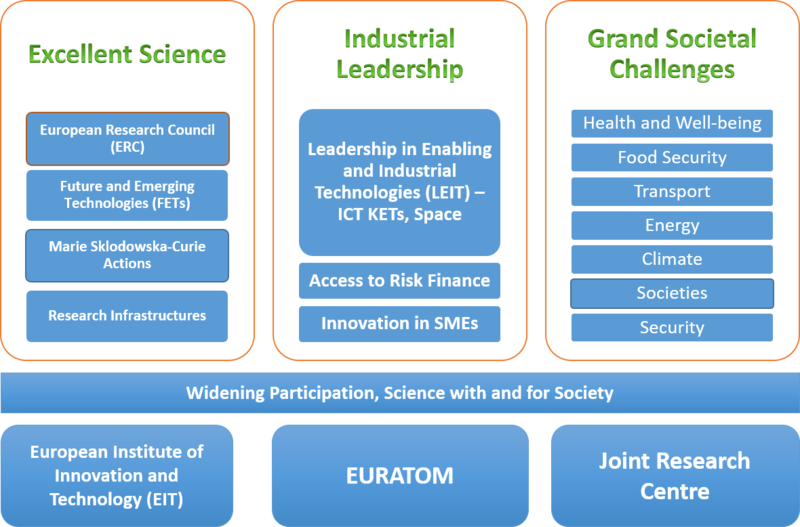 Societal Challenges are challenge-based research and innovation funding. Societal Challenge 6: Europe in a Changing World is particularly relevant to AHSS researchers. In 2021, Horizon 2020 will be replaced by Horizon Europe. Although many funding opportunities within this are likely to be similar to Horizon 2020, details (including the question of UK access to the programme) are yet to be finalised.